Onehub offers secure file sharing options for your business with straightforward pricing plans. Because our plans are catered to specific business needs, you will be able to find an option perfect for your business. Not sure where to start when it comes to choosing a plan? Here is a simple guide to help you pick the best secure file sharing plan for your business needs. Perfect for: Small companies who only need to store a smaller amount of data in the cloud and collaborate with a handful of people. 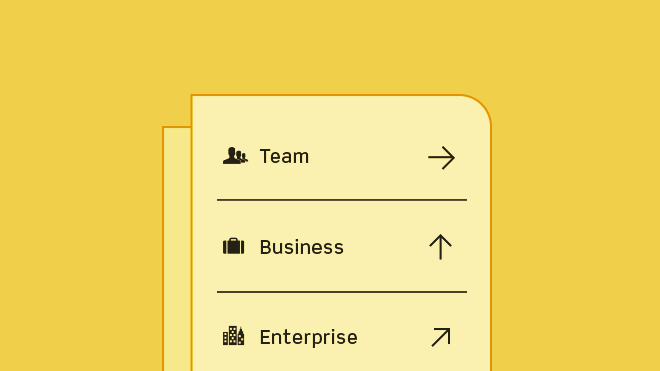 Unlimited Workspaces, create as many content folders as you need to organize and share information as you like. Customizable Workspaces, so you can upload your company logo and change the colors to match your look-and-feel. Our enterprise-grade security, which features 256-bit encryption of your data in transit and at rest. Individual two-factor authentication, which provides enhanced security to your account by requiring a special code from a registered device before you can sign on. Perfect for: Small to mid-sized companies with more files and larger-sized file types (videos, etc.) to share, firms and agencies with lots of collaborators, customers and/or clients. Password-protected links, so you can share files with users who do not have a Onehub account. Enforceable two-factor authentication, so administrators can require all users turn on 2FA. Customizable session timeouts enhances account security by allowing you to automatically sign out users after a designated period of inactivity. Data Room mode, which augments privacy by allowing you to anonymize users to one another in shared Workspaces. Ideal for startups in fundraising mode or for receiving project bids from multiple vendors. Automatic Watermarking helps thwart unwanted sharing by splashing a user’s email (or IP address) across every page of every file in a Workspace. Customized agreements enable you to create a customized set of terms that a user must actively accept before they can access your shared content. Set automatic file deletion so files in a Workspace are immediately removed after a designated period of time. Audit trails, which give you a detailed account of who accessed a file and what they did with it. FTP support for massive file uploads. Full text search so you can find a particular word or phrase wherever they occur in common document formats. Live support 24/7 ensures that if you encounter an issue, our team of people (not robots) can help you resolve it quickly. Add-on: If you want to run Onehub on your own domain (so users don’t have to visit onehub.com), and remove all Onehub branding from your business file sharing, you can add our Custom Domain and White Label option to either the Team or Business plan for $100/month. Perfect for: Large companies with tons of files, large file types and the need to share with lots of collaborators. Custom domain and white labeling included. Dedicated support staff to expedite any questions you need answered or issues you need resolved. Customized training ensures that your staff is getting the most out of their Onehub accounts. We appreciate your business and want you to get the most value out of your Onehub secure file sharing subscription, so we want to help you find the plan that provides the best fit. If you have any further questions about our pricing, or our features, you can always reach out to our sales team at sales@onehub.com or (877)644-7774. They will be more than happy to answer your questions! This entry was posted in Product and tagged pricing by Chris Albrecht. Bookmark the permalink.